Airport Lounge Development (ALD) is celebrating its 10th year in 2016. Since its first offering at Dallas/Fort Worth International Airport in 2006. The company, part of UK’s Collinson Group, created The Club concept catering to travellers looking for comfort prior to their flight departures. Free snacks and beverages, including beer, wine and liquor. Experience The Skies had a Q&A session with the specialist after the opening of its biggest lounge yet, The Club at MCO, in 2015. Please give us the timeline on when the ALD lounges opened in sequence and how each of the lounges are (by size and capacity)? Does ALD feel that there is a need to build bigger spaces to create a more comfortable environment with more amenities? The size of an airport lounge is influenced by the estimated maximum number of guests that will be visiting at any given time. 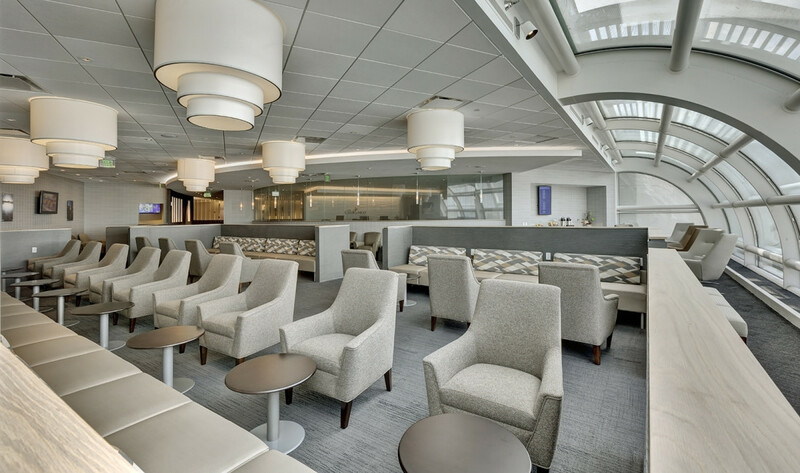 When estimating the optimal size of an airport lounge ALD takes into consideration the ‘seat comfort’ or square feet per seat that will result in a combination of private seating zones and more public gathering areas such as the bar or buffet . Calculating the optimal airport lounge size starting with this foundation allows you to then add space for special amenities such as showers, spa, children’s zone, productivity or business work areas. Building a ‘bigger’ lounge does not necessarily result in a better guest experience if the amenities and seating options do not meet the varying needs of airport lounge guests. The size, seating capacity, and lounge amenities should be tailored to the preferences of the travellers that frequent that particular airport. 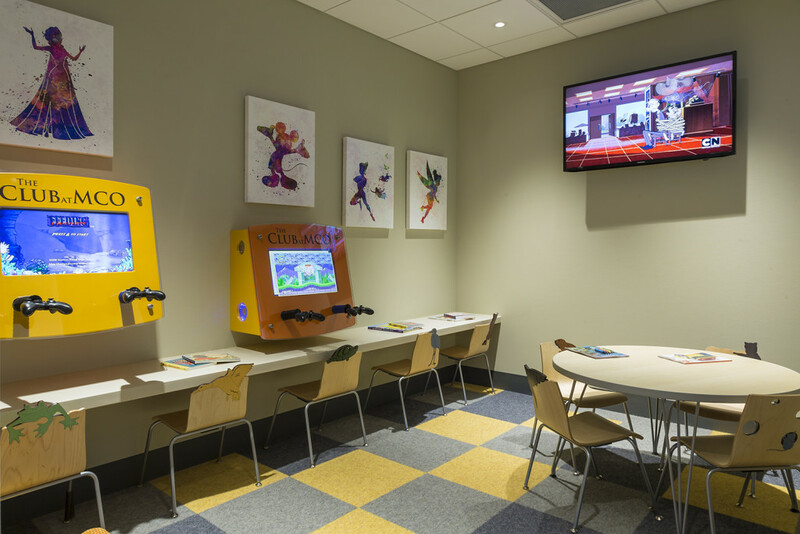 What was the inspiration behind the new concept “The Children’s Zone” At the Club at MCO? Did ALD partner with Microsoft directly? Traveling with children has become common place for business travellers, as well as leisure travellers. As the number of people who wish to share their travel experiences with their children increases, the need to provide an area for the children to relax and enjoy age appropriate games, TV shows, and computer programs while waiting for the flight to depart has also increased. Listening to our guests provided excellent insight that those traveling with, and those traveling without children, all appreciate an area or zone within an airport lounge where the children have their own space and where the adults can be near by – yet still experience the comforts of our Club locations. The inspiration for incorporating a Children’s Zone really came from listening to our customers and recognizing that our younger guests – and our adult guests both appreciate an area to relax before boarding their flight. The Club at MCO features a new colour palette and design – will this be incorporated into future lounge plans? As we design lounges we look to incorporate colour palettes, textures, and furnishings that will enhance the guests experience and create a relaxing sanctuary from the concourse. We also work to incorporate a local feel and experience in our design, colour palette and furnishings. The Club at MCO incorporates warm and soothing colours that naturally put a travelers mind at ease. As we grow our Club network we will continue to explore a variety of colour palette’s and furnishings that achieve the desired guest experience and complement the local market. Securing local images from home-town photographers has enhanced our Clubs’ atmosphere and demonstrated our desire to bring a unique identify to each Club location. Finally, there will be some reviewers who will compare The Club to traditional airline lounges and AMEX’s Centurion lounges. Besides the Priority Pass tie in, are there other unique attributes ALD would like Experience the Skids to highlight as part of the value proposition? Access to ALD’s Clubs is available to ALL travellers, regardless of airline, class of service flown, affinity credit card program. ALD’s Club network provides an all-inclusive airport lounge experience for as little as $35.00. ALD offers premium alcohol, non-alcoholic beverages, beer and wine – included in the access with no extra charge. In addition to the amenities and relaxed sanctuary from the concourse, The Clubs have been recognized for delivering unmatched hospitality and a truly welcoming guest experience. As an example, two of our Clubs received recognition in the 2015 Priority Pass Lounge of the Year Awards. 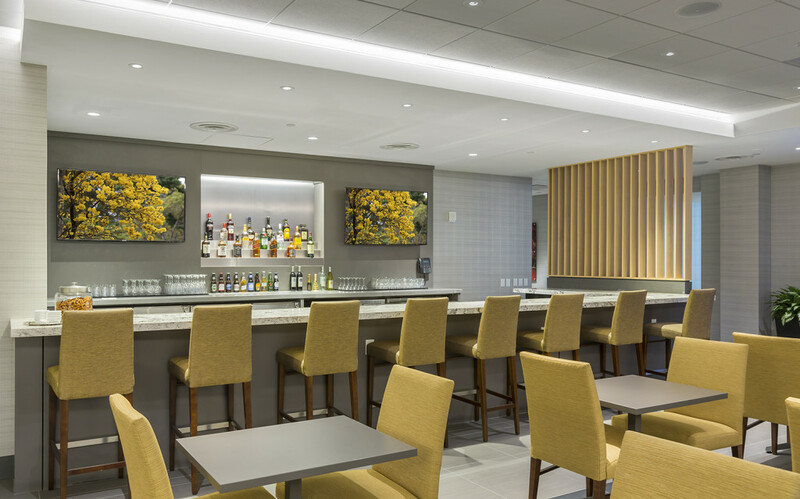 The Club at SJC at San José International Airport was named Global Best Attitude & Service from Lounge Staff, and The Club at ATL at Atlanta Hartsfield-Jackson International Airport was Highly Commended in the North American Lounge category. This is the second year in a row that The Club at SJC was named Global Best Attitude & Service from Lounge Staff. The Club at MCO has been a very successful venture for ALD. It formed new partnerships to act as the official lounge for international airlines serving the airport. ALD has plans to announce additional lounge development in 2016/2017.